He began his musical studies with the trombone at the age of eight years under the responsibility of his father Ricardo Ortega at the Cullera Conservatory of Music under the tutelage of Nicolas Esteve Colomina. He has taken courses in musical advance class with trombonists such as Gilles Milliere, Rafael Polanco or Enrique Ferrando. Besides he completes his studies in the Trombone Classroom with Inda Bonet and Carlos Gil. 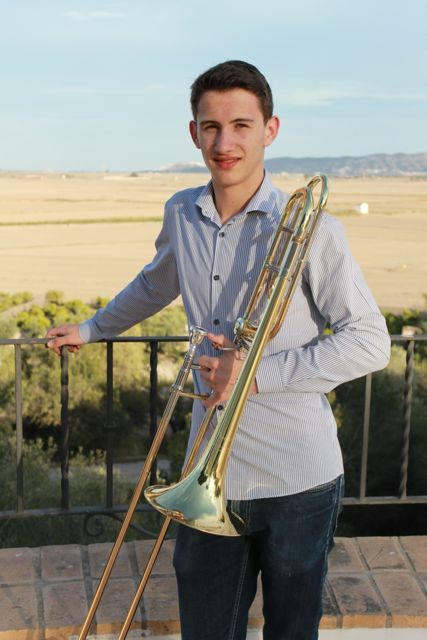 He has been awarded first prize in the contest of young performers Rotglà i Corberà, Ruperto Chapi National Contest in Villena and more recently in the First National Competition held in Valencia ATE.